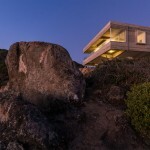 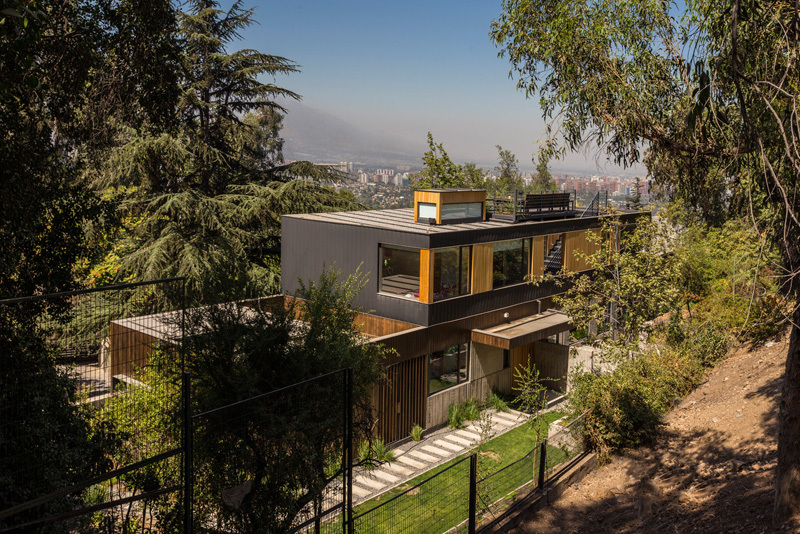 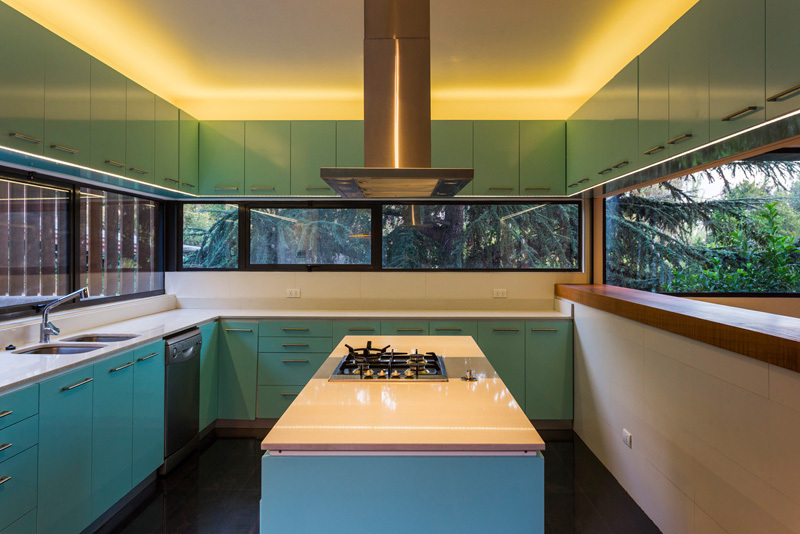 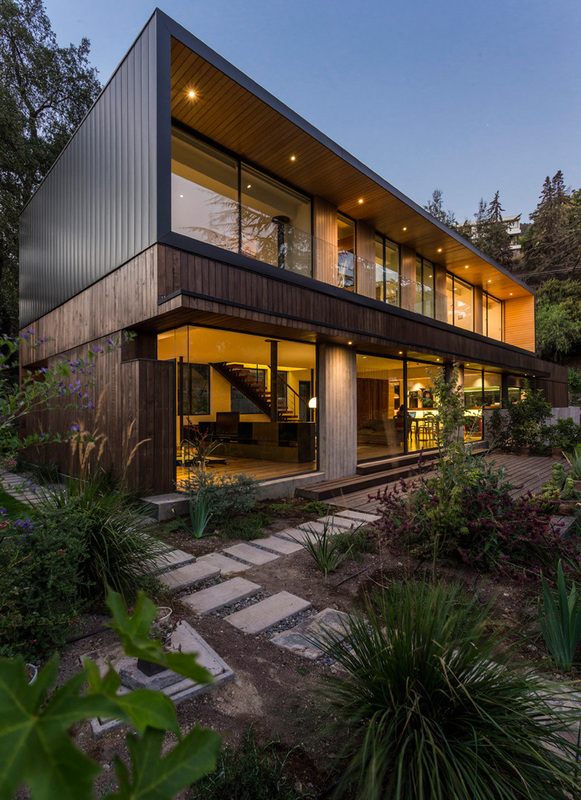 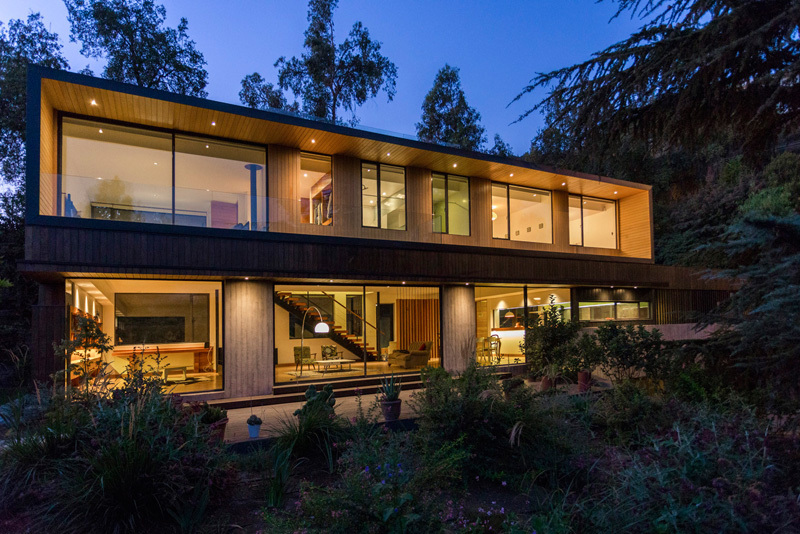 Nicolas Loi + Arquitectos Asociados designed a family home in the hills near Santiago, Chile. 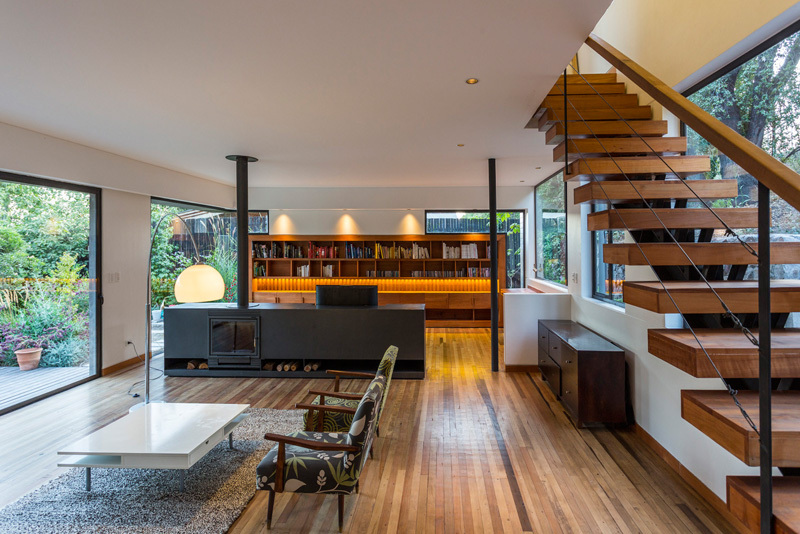 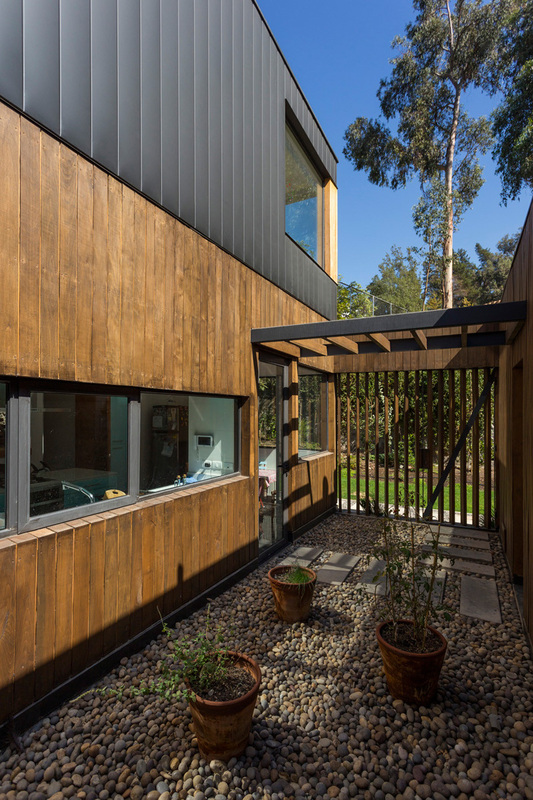 The ground level contains the family area, living room, dining room, kitchen, and interior courtyard. 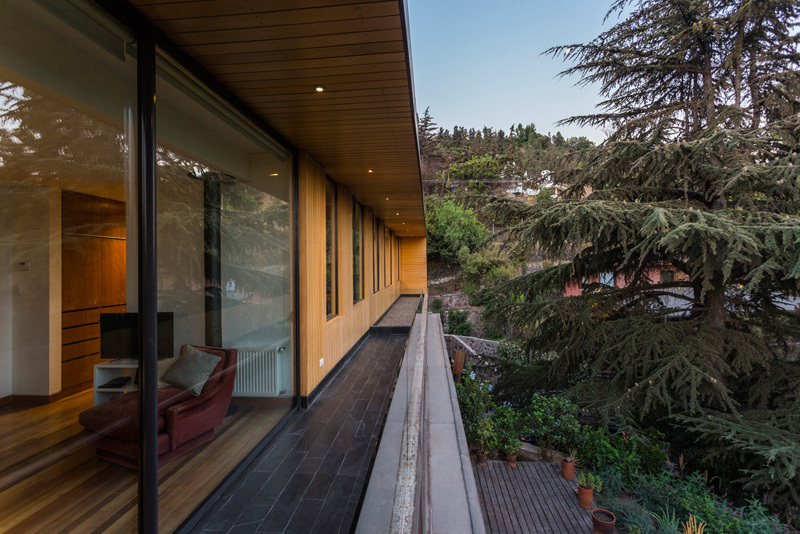 Here you can see the small courtyard of the home. 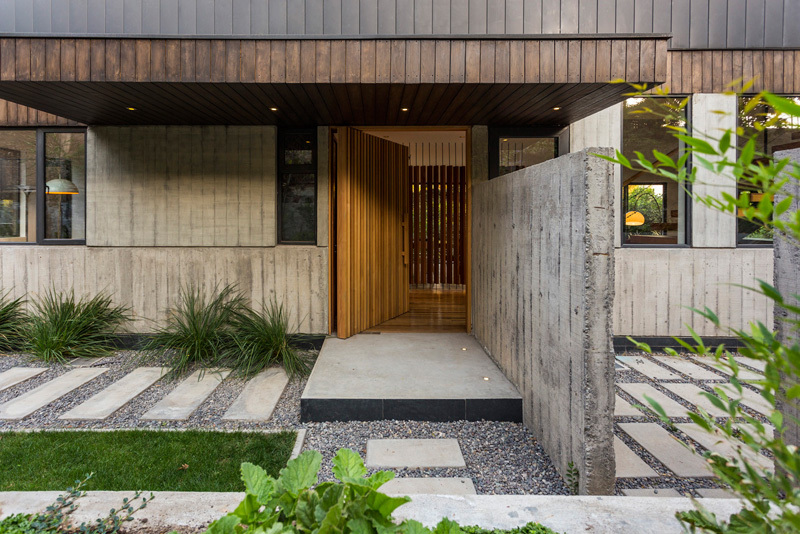 A landscaped yard and over-sized wooden door welcomes you to the home. 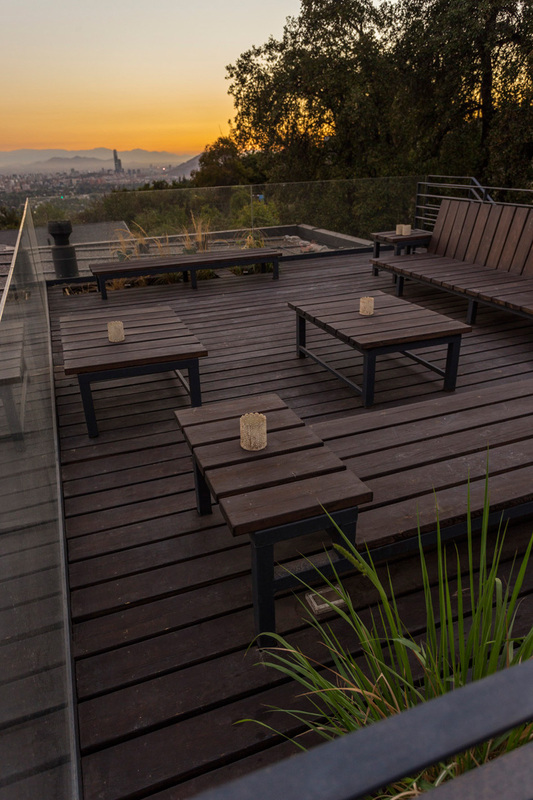 The rooftop patio has amazing views of Santiago.